Established in 1963, Norman has been making lighting systems for photographic professionals for more than 40 years. In October of 2006, Norman became a brand of Promark International, Inc.
Promark engineers, designs, manufactures and sells a variety of photographic and video lighting products and light shaping accessories. 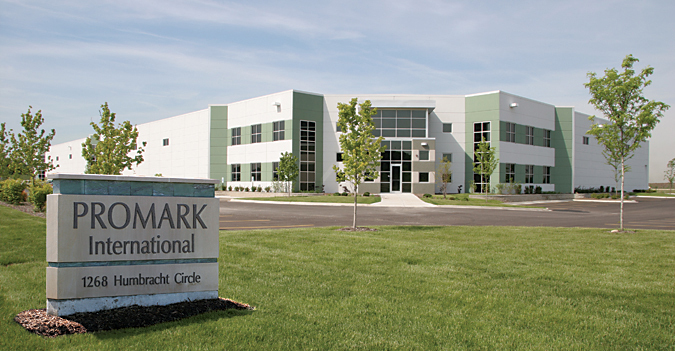 Promark is located in a new 96,000 square foot state-of-the-art manufacturing facility located in Bartlett, Illinois. The Norman product line is made up of lighting systems and accessories designed to address the needs of professionals involved in commercial, portrait, high-volume and other types of photography. In addition, the Lindahl by Norman product line is made up of accessories designed for use with a variety of professional camera systems. All of these products are sold through a network of independent photographic equipment dealers. Other brands in the Promark family include Photogenic Professional Lighting (www.Photogenic.com), Smith-Victor (www.SmithVictor.com), Cool-Lux (www.Cool-Lux.com), Logan Electric (www.LoganElectric.com), and Electronic Manufacturing Inc. (EMI) (www.ElectronicMfg.com). Over the years we have established a loyal base of customers that we truly appreciate. Our corporate mission is to continue to provide the best quality products and service to our customers of yesterday, today and tomorrow.